A gracious welcome awaits you at Chauncy Court apartments for rent in Cambridge. You’ll feel right at home among the tree-lined streets and meticulous brick courtyard that is the hallmark of this apartment building. These Cambridge MA apartments are close to public transportation and just a short walk from Harvard and MIT, as well as local shops and eateries. Each studio, one-, two-, and three- bedroom Cambridge MA apartment has recently been redone. They now feature appliances and fixtures with the latest energy saving features and include free heat and hot water, along with our 24 hour maintenance response guarantee and apartment rental payments can easily be made online. 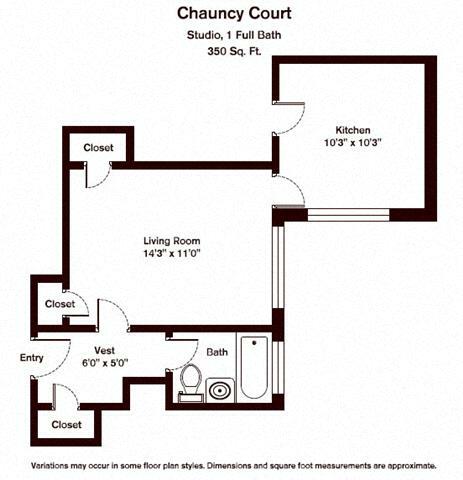 You’ll feel right at home in your Cambridge MA apartment at Chauncy Court. 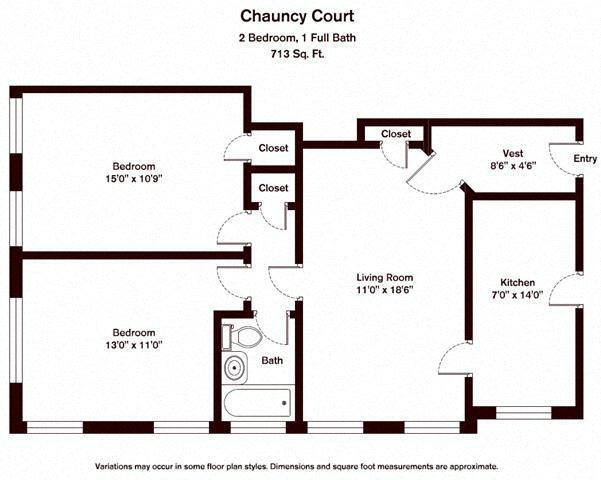 If you’re in the market for an apartment for rent in Cambridge, Chauncy Court apartments is that place. There is no place like home at Chestnut Hill Realty’s Chauncy Court Cambridge, MA apartments, with convenient living and exceptional service. When you are looking for apartments to rent, do not settle for less than the world-class center of learning and culture that Cambridge can offer. You don’t have to step too far outside your door to find some of the world’s greatest institutions of higher education, cultural and arts centers, fine dining, as well as casual eateries, the energy of a university atmosphere, and the urban buzz of Harvard Square. Cambridge itself is known as the “city of squares” for the simple reason that its commercial sectors are divided by major intersections and easily maneuvered by newcomers, so you are guaranteed to quickly feel right at home. Your new Cambridge, MA apartment at Chauncy Court is within walking distance of both Harvard University and the Massachusetts Institute of Technology (MIT) as well as a wealth of public transportation options that get you quickly and effortlessly to anyplace within the entire Boston region! Because of its easy access to the best Cambridge has to offer, Chauncy Court rated 92 our of 100 with WalkScore, an independent national survey that rates the walkability in regards to a property’s convenience and access to local amenities. Your new Cambridge, MA apartment rental is only moments away from access to the Mass Pike, Mass Avenue, Routes 2, 16 and 128, and additional public transportation is readily accessible via multiple stops along the T. You also have easy access to Zipcars parked a short walk from your front door. Each Chauncy Court apartment rental comes with free heat and hot water, a 24-hour maintenance response guarantee, fully equipped kitchens, energy saving appliances (in most apartments), water saving faucets, showers, and toilets, and online rental payment for ease of use. You can choose from a variety of studio, one, and two bedroom Cambridge, MA, apartment homes. I have lived at Chauncy St for close to two years and couldn't be happier. Any time I called the office they were really helpful and friendly. The maintenance department was outstanding. I never had an issue that they couldn't solve right away. I never had to worry about anything. The landscaping is beautiful and makes our building stand out, which is great. I love the reactions I get when I have friends come to visit and see the amazing courtyard. I have been living here for just over a year and I love it. The neighborhood has great T access and my apartment and property are well maintained. The staff is always helpful and friendly.